Find subtropical holiday happiness in Northland, where gorgeous beaches and soaring kauri forests connect you to the spirit of our country. Painted in a palette of blue, green, gold and white, Northland casts a languid spell that can capture you for days. 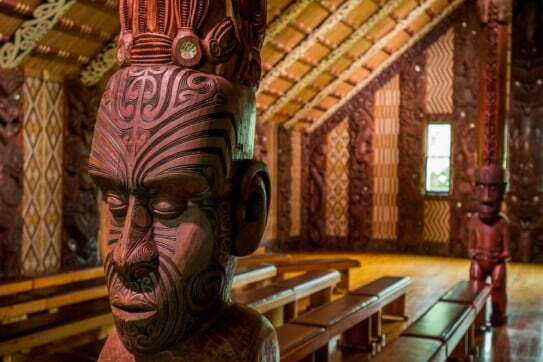 Take off your watch, ignore your phone and slip into Far North time as you explore forests, beaches and Maori culture. 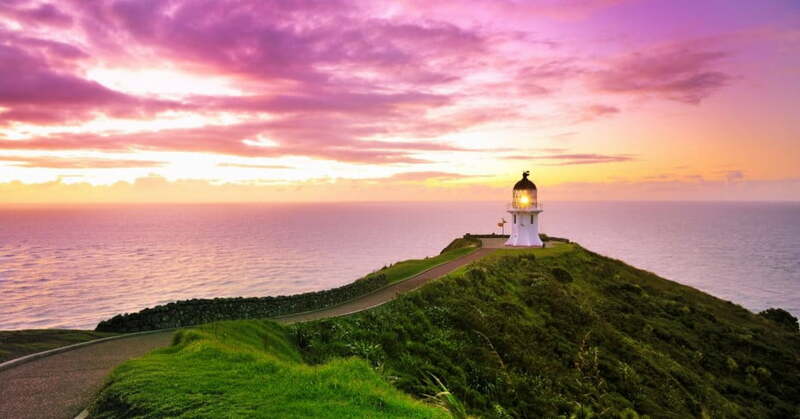 Air New Zealand offers non-stop domestic flights to Whangarei and Kerikeri from Auckland, and connecting flights from Wellington, Christchurch, Queenstown and other regional centres. With all Whangarei and Kerikeri airfares you can choose seat, seat+bag, flexitime or flexidate fare types. The scheduled flight time for Auckland to Whangarei is 40 minutes; flights to Kerikeri take 50 minutes. You have a choice of two airports for your arrival in Northland - Whangarei or Kerikeri. Whangarei is the only city in Northland. It has a relaxed, subtropical vibe and excellent dining at the town basin. Kerikeri is a country town known for its part in early New Zealand history, eclectic art galleries, fruit orchards and thriving food scene. From either airport you can plan an itinerary that shows you the best of Northland. The native forest reserves of Northland are legendary. West of Kerikeri, you'll find rare native birds and impressive stands of trees in the Puketi and Omahuta Forests. Walks range from an easy 10 minutes to overnight adventures. A favourite is the Manginangina Kauri Walk, a 15-minute track with towering kauri trees and informative panels. A 90 minute drive to the west, near the historic Hokianga Harbour, Waipoua Forest is home to several easy walks through ancient forests. One trail leads to the largest known living kauri tree, Tane Mahuta (Lord of the Forest), standing 51.2m tall with a truly impressive 13.77m trunk girth. 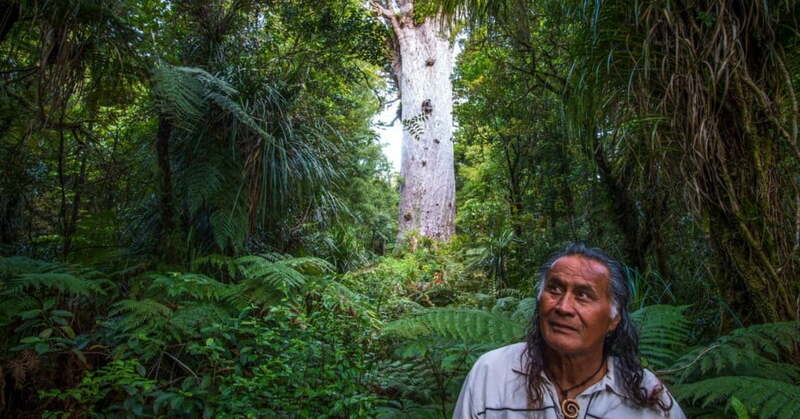 A wonderful way to get introduced to Waipoua Forest is to visit with a local Maori guide. Through waiata (song) and interpretation, you'll discover why Tane Mahuta is so important to Northland tribes. To spend time surrounded by forest and Northland's scenic beauty, hire a bike and ride the Twin Coast Cycle Trail. One of New Zealand's newest off-road adventures, it connects Opua on the east coast with Horeke on the Hokianga Harbour. Total distance is 87km, usually split into four days of biking at a leisurely pace. 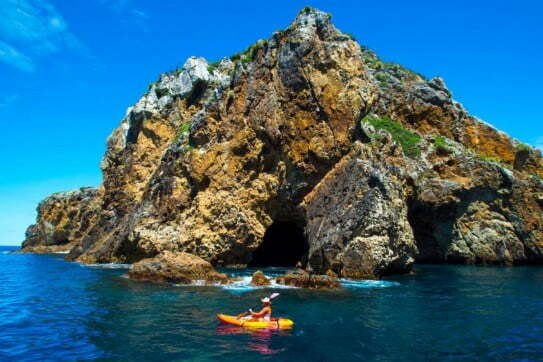 Immediately east of Whangarei is the Tutukaka Coast, an area that's all about beaches, surfing, fishing and relaxing. You can rent a bach or find a campsite at places like Ngunguru, Matapouri and Sandy Bay, then settle in to a glorious holiday lifestyle. 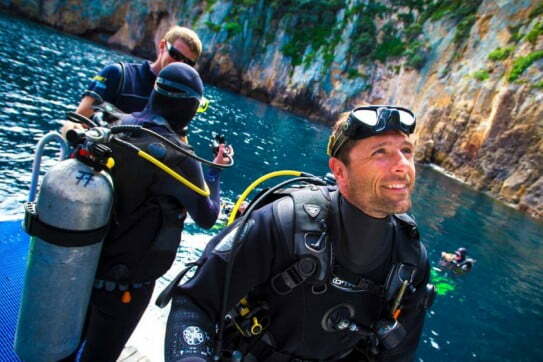 Offshore from this region is the Poor Knights Islands marine reserve, a world-renowned diving location. Dive boats leave daily from the township of Tutukaka. Further north you'll find the beautiful Bay of Islands, where maritime adventures and New Zealand history are intermixed. From Paihia you can catch a ferry to the historic township of Russell or cruise out into the bay to explore uninhabited sanctuary islands, including the hole in the rock at Cape Brett. Choose a fast modern catamaran, go dolphin watching or sail on a tall ship. If you have sailing skills, you can charter a yacht from Opua. Matauri Bay, just north of Kerikeri, is a magnificent sheltered sandy beach that's popular with locals. Further north, at seaside communities like Taupo Bay and Coopers Beach, you can rent a holiday home to surf, swim, sunbathe and fish. On the west coast, Ninety Mile Beach, Ahipara and Opononi are coastal experiences you won't want to miss. Expect to have a lot of sand and waves to yourself, because crowds are unheard of. You can also discover secret beaches that the locals love, like Waimamaku and Mitimiti. Just beyond the most northern tip of New Zealand, the Tasman Sea collides with the waters of the Pacific Ocean. From the cliff-top lighthouse at Cape Reinga, the battle between two powerful currents is clearly visible in the heaving ocean, 290 metres below. The spirituality of this place is almost tangible, and for good reason. At Spirits Bay, a gnarled 800-year-old Pohutukawa tree faces seaward. It is a traditional belief that when Maori people die, their spirits travel to this tree and slide down its roots to the underworld beneath the ocean. From here they continue northward emerging 55 kilometres offshore at Manawatawhi, Three Kings Islands. Then the spirits bid a final farewell to Aotearoa New Zealand, before travelling to Hawaiki, the legendary ancestral home of Maori. More than 700 years ago, Māori settlers arrived in Northland by ocean-going canoe, established communities and prospered. They built villages and planted gardens on shores and in river valleys. Pa (fortified villages) were cleverly constructed for defence on headlands and strategic hills. When you're exploring the north, you'll often come across the distinctive terracing of a pa site. In 1840, at Waitangi in the Bay of Islands, a group of about 40 Māori chiefs were the first to sign a treaty with the British government. It was to become the founding document for our nation. Sweeping ocean views provide a backdrop for the beautiful gardens surrounding the historic house and the ornately carved Māori meeting house - Te Whare Runanga. Within the grounds of the estate, you can also see Ngatokimatawhaoru - a large ceremonial waka (canoe). Kerikeri and the Far North have a subtropical oceanic climate with warm humid summers and mild wet winters. For forest hikes and general sightseeing, any season is good. If you want to enjoy water activities, summer and autumn are best; if you love fresh local food, choose spring.